At Hermitage Lighting in Nashville, there’s nothing we love more than helping a customer find the perfect lighting options for their home or business. When it comes to the commercial or retail sector, we know that lighting design can present unique challenges that can’t always be solved by one or two fixtures. Our National Accounts department works with some of the largest commercial, retail, and hospitality corporations in the United States, and our certified lighting consultants have helped countless business owners lower costs and create the perfect custom lighting design for their store, restaurant, hotel, or whatever it may be. If you’re looking for new lighting that will enhance your guests’ experience and help your business be successful in the long run, then contact us today to learn how we can help you! As a restaurant owner, you want each guest to have a positive dining experience every time they visit your establishment. From the design of the front entrance to the comfort of the chairs or booths, everything plays a part in the look and feel of your restaurant. However, nothing plays as important a part as the lighting. If your restaurant has been open for many years, then it’s likely gone through several changes. If the lighting is beginning to look a bit outdated, or if customers have commented on the lights, then it might be time to add new fixtures. One of our National Accounts project managers can help you choose new lights for each part of your restaurant, from the front of house to the kitchen and utility areas. Perhaps your restaurant has been extremely successful over the past few years, and now you’re expanding to a new location. Building a new restaurant can be very exciting, but it doesn’t come without its challenges. A new commercial build will require the right design touches, and when it comes to lighting, you’ll want to be sure everything is perfect. Our team can handle the planning and design, and we can even provide photometrics and 3D renderings of your new space at no additional cost. What Fixtures Will You Need? Every restaurant needs a variety of light fixtures, and it can seem overwhelming to have to choose them. From the exterior of your building to the bar to the table and booth areas, you’ll need the right fixtures in each space. At Hermitage, we understand how to put together a complete lighting package that fits your vision. As people drive up or walk up to your restaurant, they should feel that they are being greeted and are about to enter a welcoming and inviting establishment. With the proper exterior lighting, such as outdoor sconces and post lights, guests will be able to see as they enter, and the warm glow from each light will welcome them inside. You’ll also want ground-level and security lighting so that people feel safe as they enter or exit your restaurant. Once inside, people expect to be greeted by a host, hostess, or maître ’d. If they have a reservation, then they’ll be seated as soon as possible, but if they have to wait for a table, then they’re going to spend time in the entryway or foyer of your restaurant. The lighting here should be inviting as well, and people should feel comfortable as they sit and wait for a table. The lighting doesn’t have to be bright, but the ambience should be set from the moment someone walks through the door. If you have a large entryway or foyer, then a statement chandelier could prove to be the perfect fixture. Those who don’t want to wait for their table near the entrance of your restaurant may find their way to the bar. The lighting here can be dimmed and less obvious, but you’ll want to be sure that no area is too dark. Pendant lights above the bar can create the ideal look, and with people sitting or standing at the bar, you’ll want to be sure each fixture is hung high enough above the counter. LED lighting and track lighting behind the bar can help your bartenders see as they make drinks and take orders. The dining area is the central piece of your restaurant, and even if you have a large space, the tables and booths, as well as their lighting, are the most important aspects. When sitting at a booth, the wall sconces will provide the light that people need in order to see, eat, and converse with their friends. For your tables, you can invest in hanging lights that are positioned over the center of the table. You’ll likely need several of these hanging fixtures installed in multiple rows so that you can arrange your tables as needed for larger groups of people. A majority of the customers who visit your restaurant are going to use the restroom, and that’s why it’s important for your bathrooms to be clean and well-lit. The vanity fixtures should provide enough light above the sinks, and you may need multiple vanity lights for a long row of sinks. Recessed lighting above the urinals and stalls can provide the necessary ambient lighting, and you’ll want to be sure there are bathroom fans for proper ventilation at all times. The back of your restaurant will consist of the kitchen, office, and utility areas. Very few customers, if any, will ever see these areas, but your staff will be appreciative of having the right lighting in these areas. The kitchen will need bright lighting so that your employees can see as they’re prepping, cooking, and cleaning. For any pantry or freezer areas, you’ll need proper lighting so that your staff can see when they’re retrieving items, and that they can do so safely. No lighting design is complete without the proper controls, and our National Accounts team can help you choose the right switches, dimmers, and more. Your account director and project manager can take your comprehensive commercial lighting design and make sure that there are controls in place for each bank of fixtures. You’ll need dimmers for the front of house and dining room areas, and switches for back of house and bathroom lighting. You may want your controls to be centralized, but you’ll also want to be sure that you’re not limiting yourself on the amount of command you have over your lights. We’ll work with you every step of the way to ensure you have the right lighting controls in the right places. When it comes to lighting styles for restaurants, the sky is often the limit. Everything from industrial fixtures to Art Deco lighting has found its way into modern restaurant design, and you may have an idea of which style fits your motif the best. No matter which style you want to go with, you’ll want to be sure that it’s consistent throughout your restaurant, and that’s where our certified lighting team will prove their worth. By working with designers, architects, engineers, and others, we have learned to understand the complications that can come with choosing a particular lighting style and having it installed in a restaurant. If there are issues with a certain style, we’ll work with you and your designer or architect to resolve them, or help you come up with a suitable alternative. 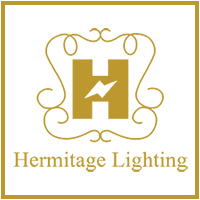 If you’re building a new restaurant, or you’re updating an establishment that you’ve owned and operated for years, then partner with Hermitage Lighting for outstanding service and an excellent selection. We will create Good, Better, and Best packages in order to provide you with different levels of lighting design, and our partnerships with freight consultants allows us to get your new lighting to you quickly and safely. As a hotel owner, your number one goal is making sure every customer has an exceptional experience. People who stay at your hotel want to feel comfortable from the moment they walk through the lobby doors. When it comes to lighting, each fixture plays a part in welcoming guests to your business and making them feel at home during their stay. By working with Hermitage and our National Accounts team, you can create a lighting design for your new hotel, or come up with a new vision for your existing business. If you’re expanding your locations and want a modern feel for a new building, then we can connect you with the perfect fixtures. We can also conduct a guest experience study to see what your customers are saying about your current lighting and how they feel when they’re in your hotel. We can also gauge what people would like to see in a new venue. 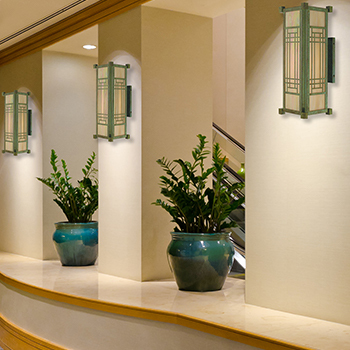 There can be a lot to consider when thinking about hotel lighting, but with our help, you can choose the fixtures that you need for every area of your hotel, starting with the lobby and continuing to the guest rooms and conference and reception spaces. The first area that every guest will see when they visit your hotel is the lobby. Here, they will check into their room, and the bellhop will take the guest’s luggage to their room. As for lighting, there are many possibilities for the lobby. A grand chandelier can be an ideal choice, but only if you have the room for it. If the ceilings are lower, then you can opt for modern pendants above the entrance and recessed lighting behind the guest services counter. Your lobby will also likely consist of the elevator bank that takes guests to their rooms. Wall sconces are a prime choice here, as are recessed lights. You can have hanging fixtures in the center of the elevator area, but it’s important to make sure they don’t make the space feel too cramped. While in your hotel, guests will spend a majority of their time in their room. This makes it extremely important to make sure the lighting is tasteful, functional, and easy to use. Wall lamps and sconces are ideal options near the bed, and a desk lamp and floor lamp can make the space more versatile, just in case a guest wants to read or work during their stay. 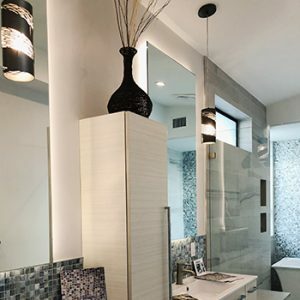 You will also need ceiling fixtures for each room, and these can be in the form of flush or semi-flush mount lights, unless you have a unique vision in mind for your hotel. The ceiling fixtures provide the ambient, or general, lighting for a room, so they need to be able to illuminate the majority of the space on their own. Mini chandeliers are an option, but you’ll want to be sure that they fit with your design aesthetic. As for the bathrooms in the guest rooms, you may want a spa-like, luxurious feel for these spaces. Your suites have large showers or soaker tubs, and the lighting needs to be just right so that guests can feel pampered whenever they want. Vanity lights above the sink will help as they get ready for their day, and bathroom fans will ensure proper ventilation. There are a number of options that you can go with for your hotel’s guest rooms, and at Hermitage, we can make sure that you end up with the best fixtures at competitive rates. Since you’ll likely need to order thousands of fixtures, we can store your lights in our 100,000 square-foot showroom and have them ready for when your construction or renovation schedule calls for them. Your hotel might be a popular spot for business conferences and seminars, and with the right configuration, you can host very large groups, even those numbering in the thousands. You may also attract several wedding receptions throughout the year, and the spouses-to-be (and their families) want the grandeur of a ballroom with a large chandelier. For these conference and reception areas, it’s important to keep in mind that they’ll be used during all times of the day. Business seminars will use the spaces for presentations during the morning and afternoon, and you may have a wedding reception, anniversary party, or birthday celebration in the evening. The lighting will need the proper controls so that the levels can be raised and lowered as needed in order to set the appropriate mood for the space’s current purpose. Ambience is key, whether it’s a group of executives having a meeting or a bride and groom having their first dance. If you want your new hotel to have one of the best restaurants in the city, then you’ve likely put a lot of time and energy into acquiring the best chef and creating the perfect design. Lighting might not be as important as the food on the menu, but it definitely plays a part in the overall customer experience, especially for guests who are staying with you and who visit the restaurant or bar for breakfast, lunch, and dinner. As we noted above in the section on restaurant lighting, you’ll need a variety of fixtures for this part of your hotel. 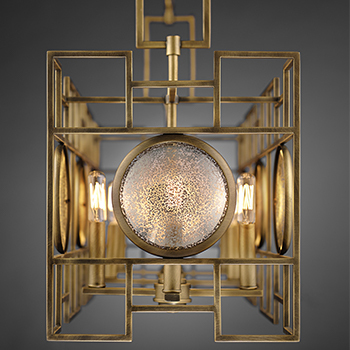 Wall sconces, pendant lights, and more can all be integrated into your lighting design. If you’re unsure where to begin, then our team is here to help you decide on the best options. You’ll also need to keep in mind that those who are not staying at your hotel will also visit your bar and restaurant on occasion. So far, we’ve covered the major areas that can be found in a hotel, and we’ve touched on several fixture options for each area. Hopefully you’ve begun to see how important lighting is for your hotel, and you’re ready to create your new lighting design. If you’d like to get started, then our team at Hermitage is ready to help! When building a new hotel, there is a timeline that you try to stick to in terms of design, construction, and finishing touches. You may have a hard date that you need to open by, and any setback can be detrimental to your success. When working with Hermitage for your lighting design, you can count on us to be timely and professional throughout the entire process. With a designated account director and project manager, you’ll have people who can help you create your design vision and keep the timeline on track. Once you’re ready for lighting installation, we’ll make sure that your fixtures arrive on time and intact. You may have a unique design vision for your hotel, including everything from the curtains in the guest rooms to the carpet in the reception halls. You want your lighting to fit that vision, and you’ll find that our National Accounts team is more than willing to help you find fixtures that are truly unique. We partner with leading lighting manufacturers that are always creating new and exciting products, and we can include one-of-a-kind lights that make your lobby, conference center, or pool area stand out. If you have a hotel project that needs new lighting, whether it’s a new build or a renovation, get started today by contacting Hermitage Lighting in Nashville. As an industry leader in restaurant, hotel, and retail lighting, we know how to create the perfect package for your business and keep your project timeline on track. With certified lighting consultants and lighting specialists on staff, as well as relationships with designers, architects, and engineers, we can provide you with the best in modern lighting.